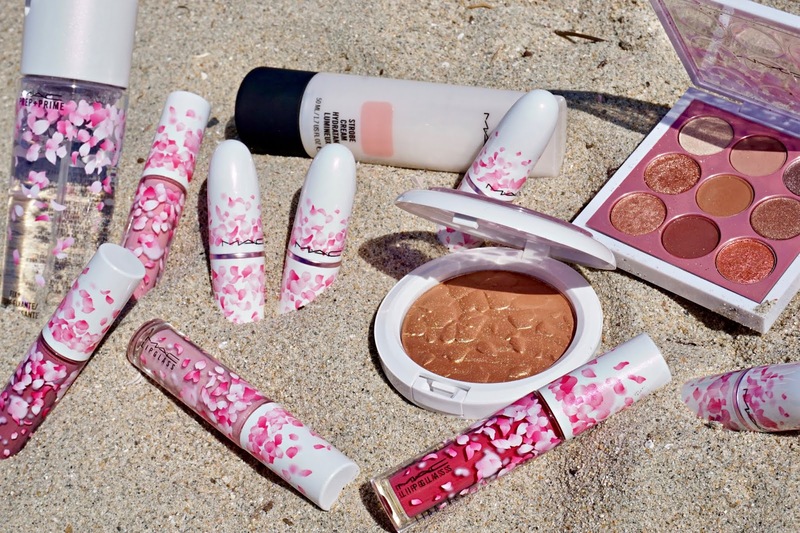 With its delicate cherry blossom-inspired packaging and feminine pink-centric color story, the limited edition *MAC Boom, Boom, Bloom Collection softy sings the anthem of springtime. 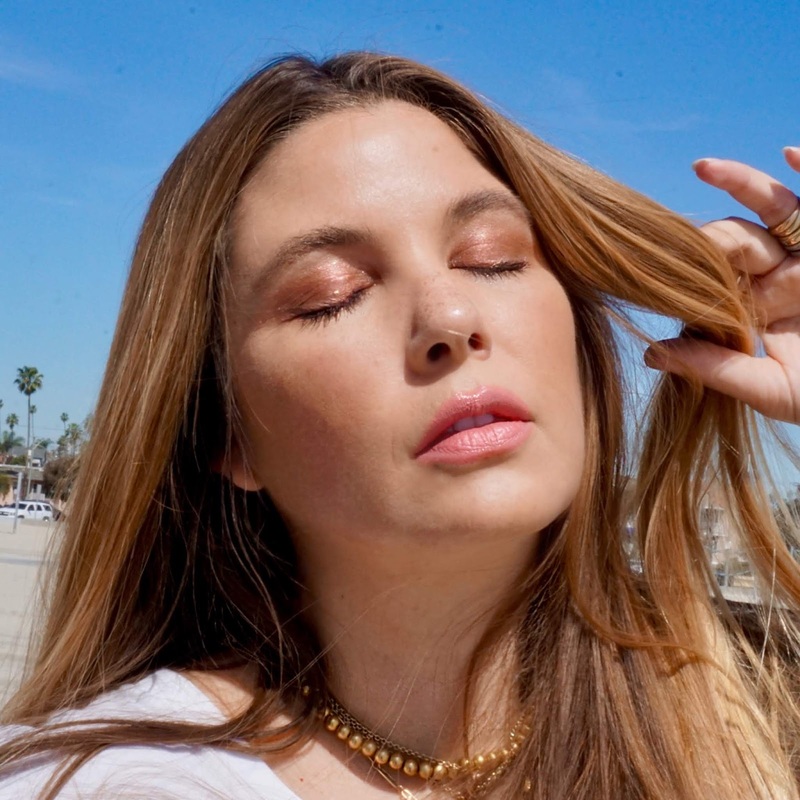 Even better, every single piece in the collection (which is selling out very quickly, I might add) is infinitely wearable, making it the quintessential way for your makeup routine to usher in the warmer months ahead. 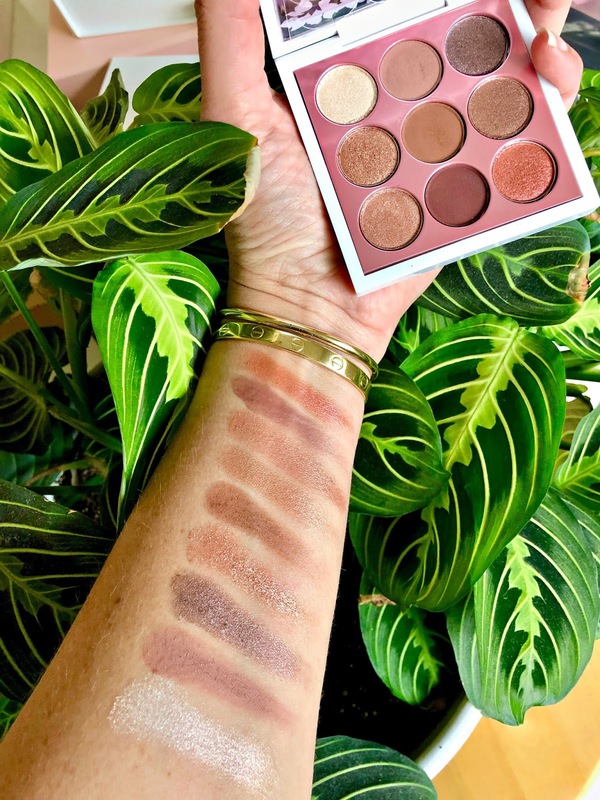 Consequently, I am excited to give you a swatch-heavy overview of this resplendent collection--shot both at home and in action at the beach (with Johannah!) on the sunniest Southern California day of the year thus far--and hope you find some pieces that call your name before they're gone for good! 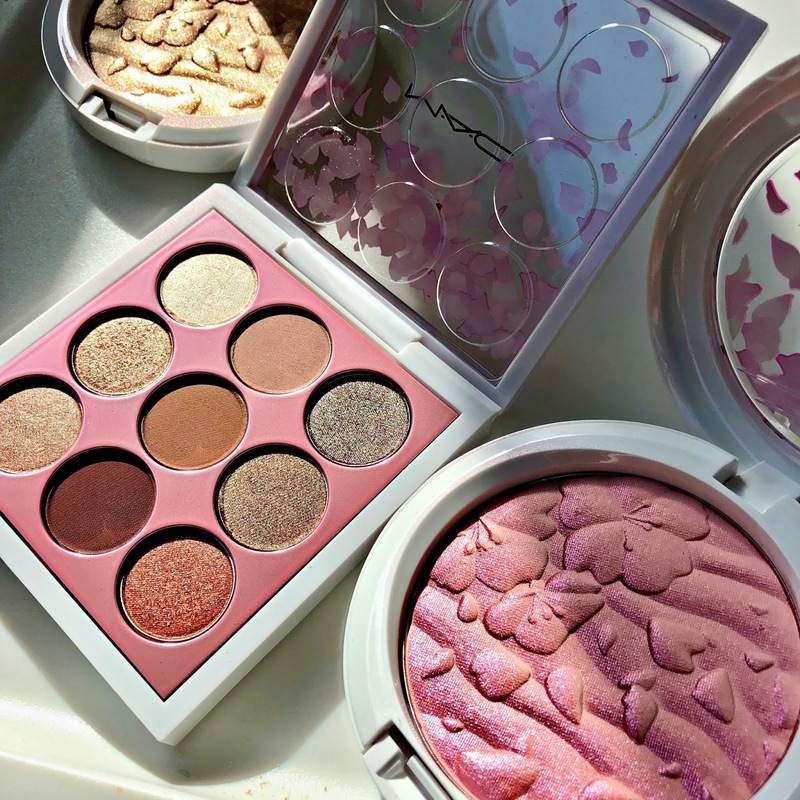 The *MAC Boom, Boom, Bloom Collection consists of two highlighting powders, an eyeshadow palette, lipstick and lip gloss as well as a Prep + Prime Fix+ in LE packaging. 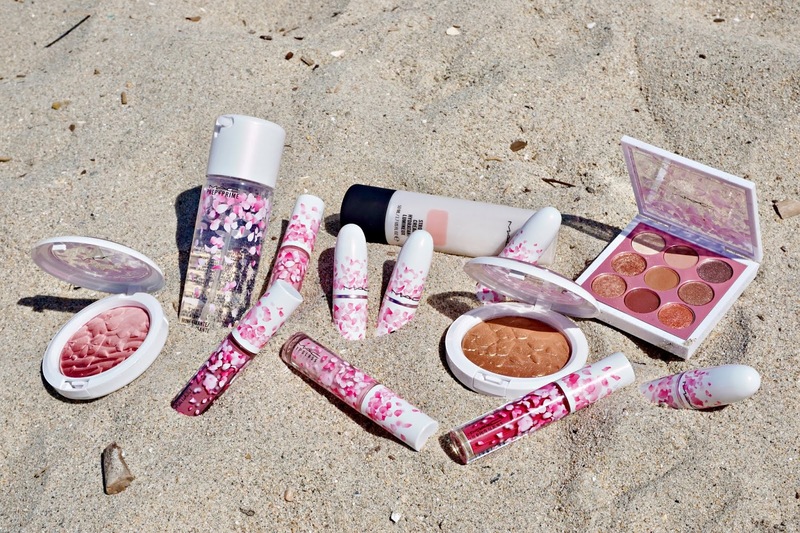 I also included the MAC Strobe Cream in Pink Light, which perfectly compliments the collection's color theme. 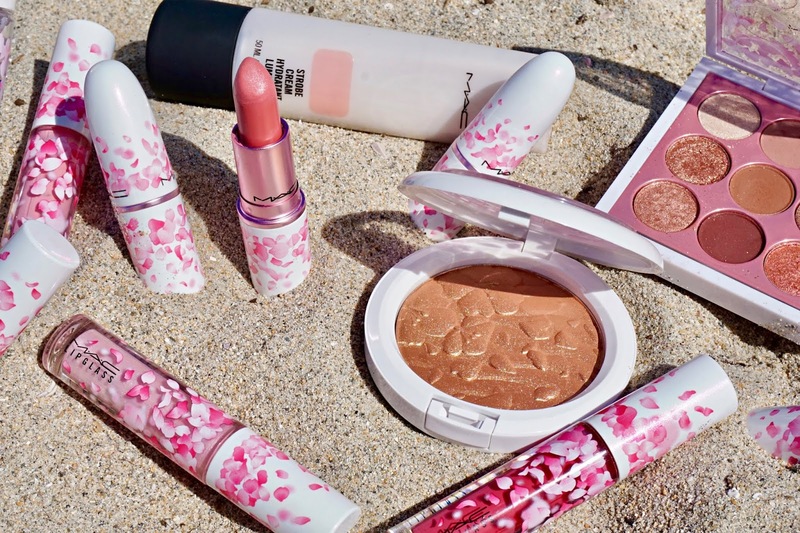 *MAC Boom, Boom, Bloom Highlight Powder in Fleur Real and Spring Bling: These radiant highlight powders in a pale pink and radiant tan take bronzing and illuminating to new levels. 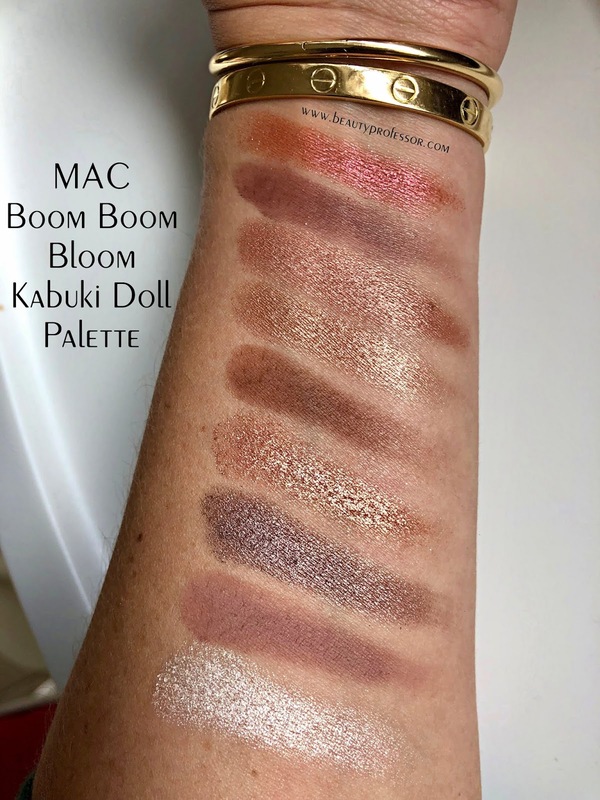 *MAC Boom, Boom, Bloom Eyeshadow x 9 Kabuki Doll Palette: Sold out nearly everywhere (good news...I found it for you guys at Bloomingdales), this brilliant palette is rife with warm rosy hues that possess enough neutrality to compliment a spectrum of skin tones. It's easy and entirely flattering...get yours whilst you can! *MAC Boom, Boom, Bloom Lipstick in Hey Kiss Me (C): A pale baby pink cream with plenty of opacity. *MAC Boom, Boom, Bloom Lipstick in Hi-Fructease (M): A light pinky coral that instantly brightens the face...it's a favorite; see it in action at the end of this post. *MAC Boom, Boom, Bloom Lipstick in Tsk Tsk (M): A rich and bright magenta pink. *MAC Boom, Boom, Bloom Lipstick in Wagasa Twirl (M): A refreshing dirty pink that borderlines on mauve...this, I suspect, will look good on everyone. Another favorite in this entire collection! 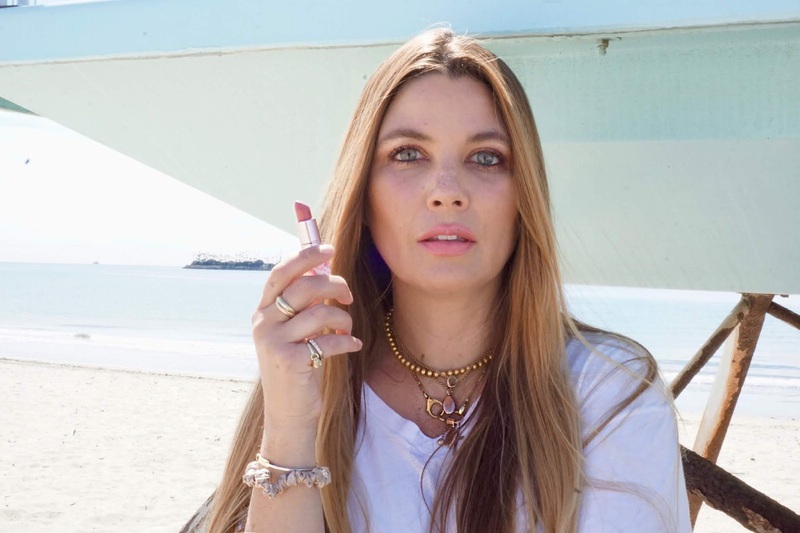 *MAC Boom, Boom, Bloom Lipstick in Frambois Moi: Intense deep strawberry...it's sold out at many retailers but still in stock on the MAC site. 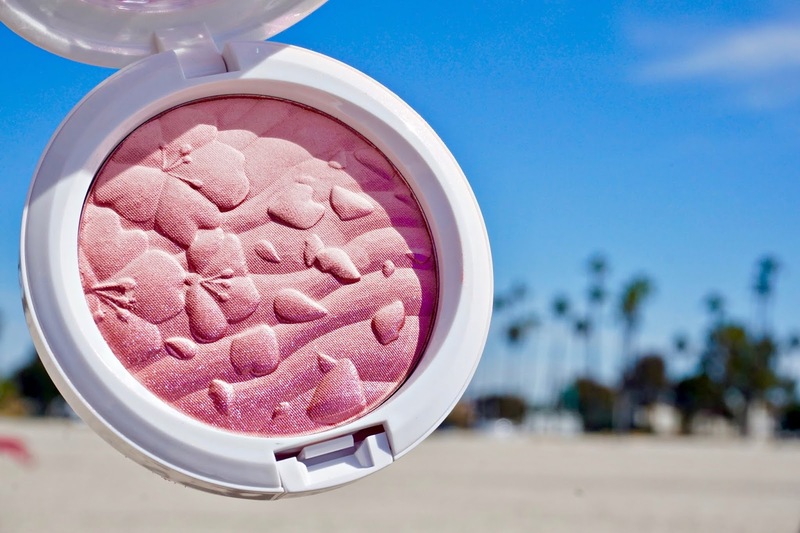 *MAC Boom, Boom, Bloom Lipglass in For the Frill of It: Opalescent pink with an ethereal glow. *MAC Boom Boom, Bloom Lipglass in Cherry Mochi: A bright cherry-meets-fuchsia cream with major color payoff. *MAC Boom, Boom, Bloom Prep + Prime Fix+: The classic formula in LE packaging that will look stunning on one's vanity or in a travel bag this summer. 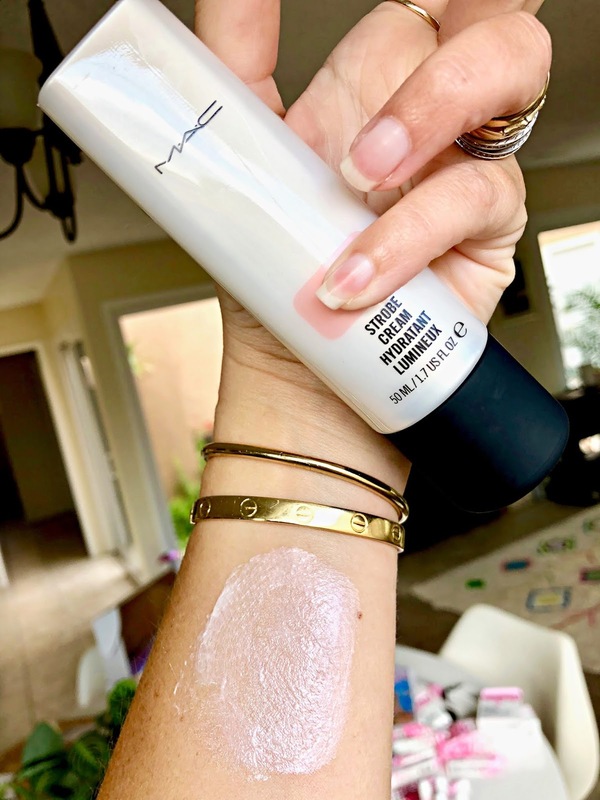 *MAC Strobe Cream in Pink Light: I am loving this as an illuminating base between primer and foundation; it delivers a stunning rosy glow that still looks natural...it's lit-from-within goodness in a classic formula. 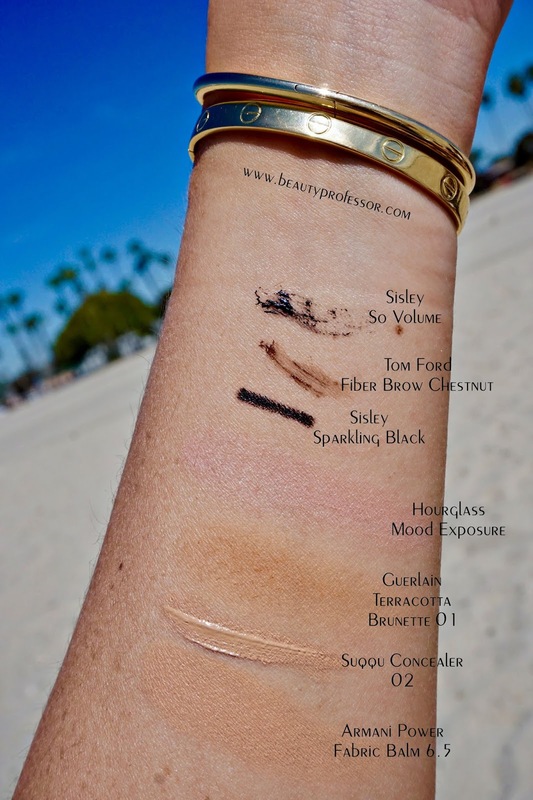 Swatches of the MAC Boom, Boom, Bloom Collection in natural indoor lighting. 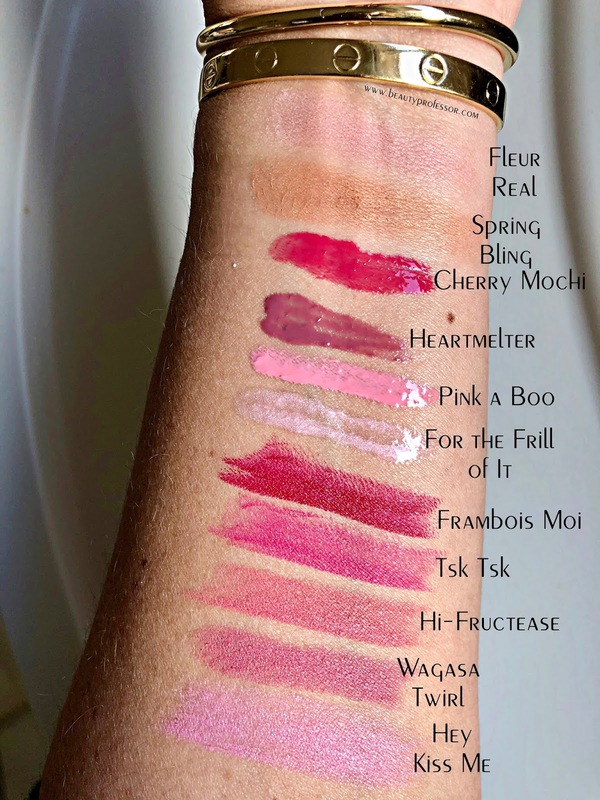 Swatches of the *MAC Boom, Boom, Bloom Eyeshadow x 9 Kabuki Doll Palette in natural indoor lighting. The *MAC Boom, Boom, Bloom Highlight Powder in Fleur Real and Spring Bling and *MAC Boom, Boom, Bloom Eyeshadow x 9 Kabuki Doll Palette. 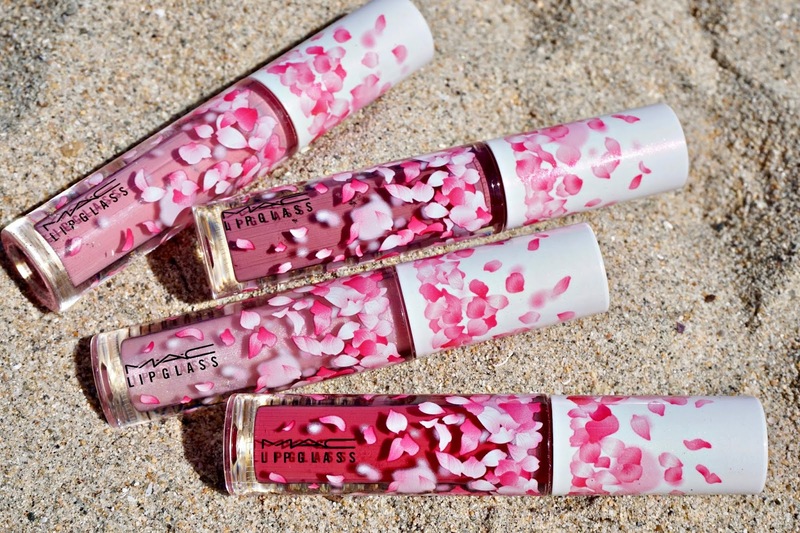 From top to bottom: *MAC Boom, Boom, Bloom Lipglass in Pink a Boo, Heartmelter, For the Frill of It and Frambois Moi. *Augustinus Bader The Rich Cream: Two pumps for the most nourished and glowing skin imaginable. I am on bottle #4. 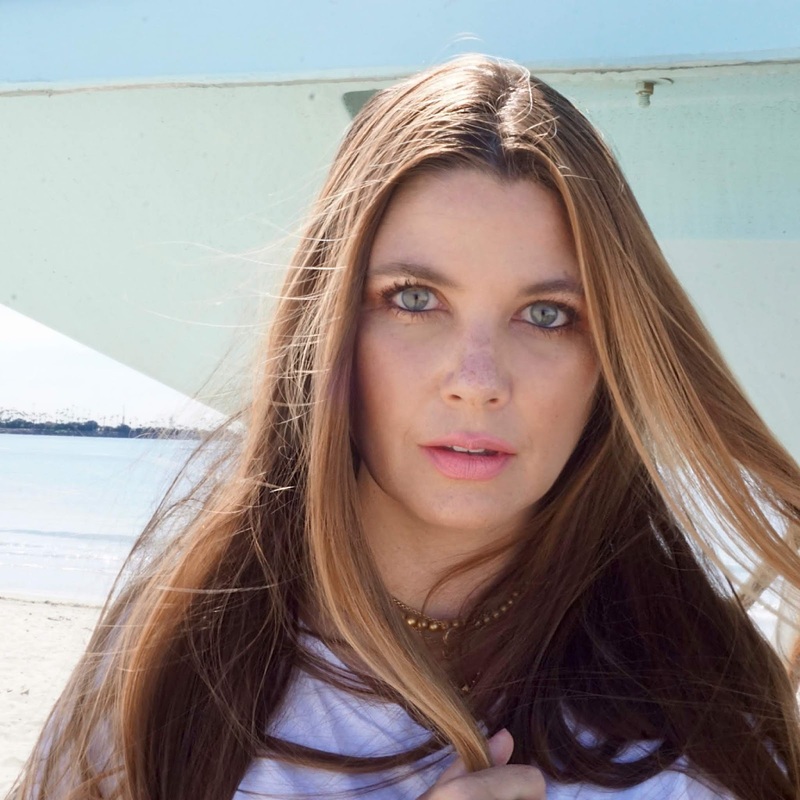 *Elysian Continuum Finishing Treatment: I am very impressed with this skin-smoothing primer of sorts; it truly finishes skin, imparting a soft glow that invites makeup to stay in place for hours on end. Try it and you'll see exactly what I mean! *Oribe Gold Lust Oil: My spring and summer hair must, this intoxicatingly fragrant oil detangles while smoothing and adding shine and control. 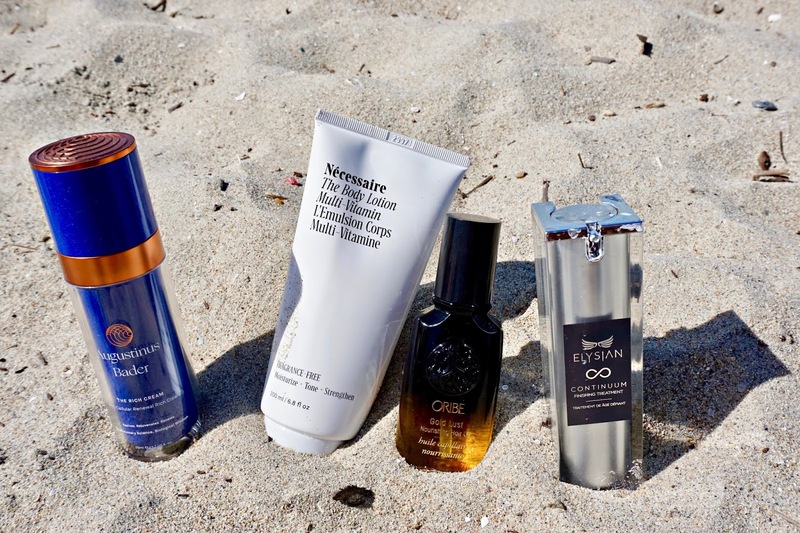 *Necessaire The Body Lotion: Rich and hydrating while absorbing into skin instantly, this genius lotion is fragrance-free and brimming with potent yet clean ingredients that bathe skin in moisture. To say that I am taken with the Necessaire line would be an understatement...more thoughts on this brand to come in the very near future. Giorgio Armani Power Fabric Foundation Balm 6.5 (reviewed HERE): I have used this nonstop since picking it up last month (I actually hit a modicum of pan, if you can believe it) and am still over the moon for its medium coverage and real skin finish. Will be buying a back up soon. *SUQQU Radiant Cream Concealer 02 (reviewed HERE): Marvelous for concealing and brightening the under eye region, I added just a touch (it's got creamy medium to full coverage) and blended it out with a sponge for a seamless finish. *Guerlain Terracotta Original Bronzing Powder 01 Light Brunettes: I am entirely smitten with this subtle bronzer that imparts a true light tan on my light-medium olive skin. 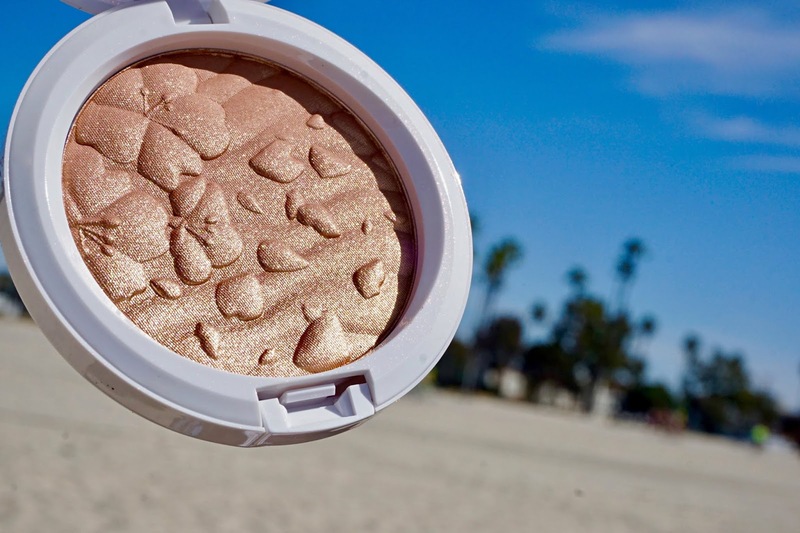 Finely milled with a natural finish (read: neither shimmery nor matte), this bronzer is equal parts iconic and effortless...so good. Hourglass Ambient Lighting Blush in Mood Exposure (reviewed HERE): For a luminous plum effect that looks incredibly natural, I focused application on the apples of my cheeks. *Surratt Beauty Artistique Cheek Brush (also available at Neiman Marcus): I haven't used another brush on my cheeks in literal years. It's the investment of the century in my book...Troy Surratt knows what he's doing. Baccarat Rouge 540 Travel Fragrance: Signature fragrance in a travel size...yes, please! Tom Ford Fiber Brow Gel in Chestnut: My constant brow companion for a full and feathery effect. Sisley Photo-Kohl Eyeliner in Sparkling Black (reviewed HERE): The only liner that I war on my lower waterline as of late; it applies without tugging and stays in place until I'm ready to remove it. *Sisley So Volume Mascara (reviewed HERE): Two coats for remarkably full, jet black lashes...and it lasts all day. Divine! 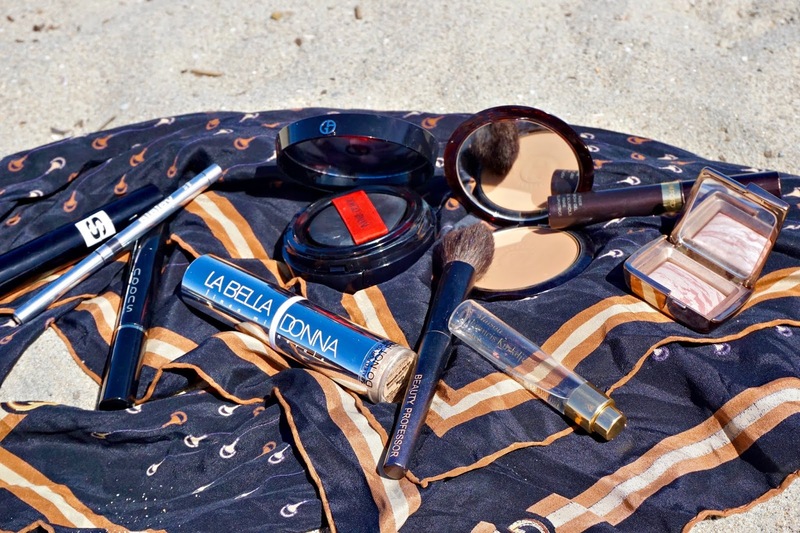 *La Bella Donna Minerals on the Go in Marta: 100% mineral SPF 50 protection with a light tint, this is my new sunscreen/powder touch up go-to. 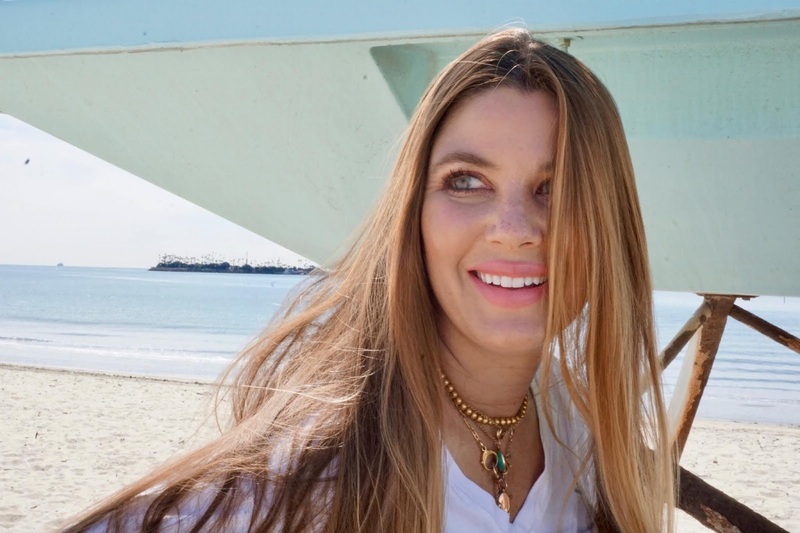 Vintage Gucci Scarf: Ever a member of my handbag, this comes in handy for everything from belt to hair tie to beachside accessory extraordinaire. // STYLE NOTES // Simple and sporty with lots of comfort thrown in for good measure, this outfit resonates with the traditional nature of spring. Nordstrom Men's V Neck Tee: A staple in my collection, I order a Mens size Large and have them in my rotation constantly...there is no better v neck in my opinion! Plaid Print Bike Shorts: I am having a bit of a bike short infatuation as of late and have found quite a few pairs on Amazon. This plaid pair is unusual and unexpected...they run true to size and I am wearing a size Small. 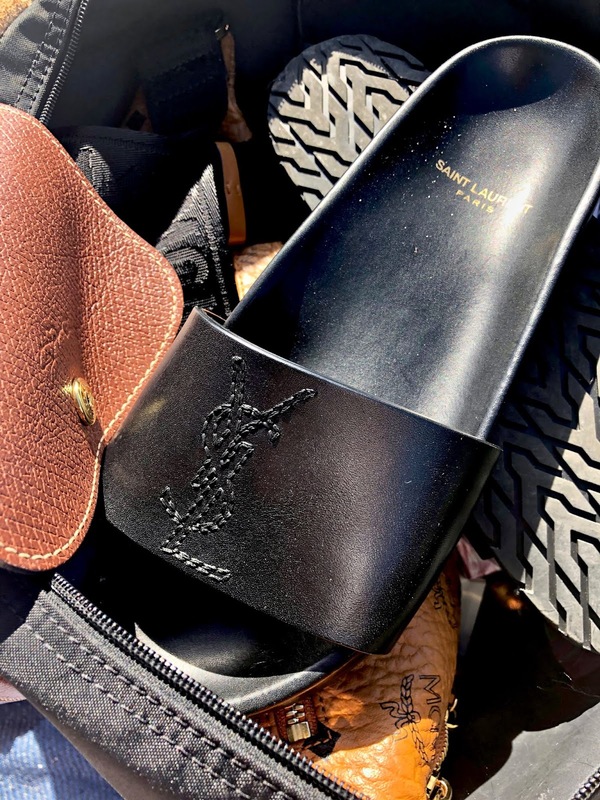 YSL Logo Leather Slide: I have had these in my cart for well over a month and finally ordered them a week ago. What took me so long?! Exquisitely chic and comfortable, they look equally good with shorts, jeans and dresses and the luxe minimalist appeal cannot be denied. Plus, they're on major sale. I generally wear a 7 and sized up to a 7 1/2 (it said they ran on the small side) and they fit perfectly. Highly recommended! Patagonia Puffer Jacket: I bought this late in the season but it's lightweight and classic and perfect for brisk weather moments as well as windy times on the beach...it's the kind of jacket you'll wear for years on end and Patagonia does it best. Sara Kety Baby Gold and Pearls Bodysuit: As soon as I saw this, I knew it needed to be a part of Johannah's wardrobe. The jewelry detailing is simply too cute for worsd and the 100% cotton fabric is excellent for the warmer months ahead. 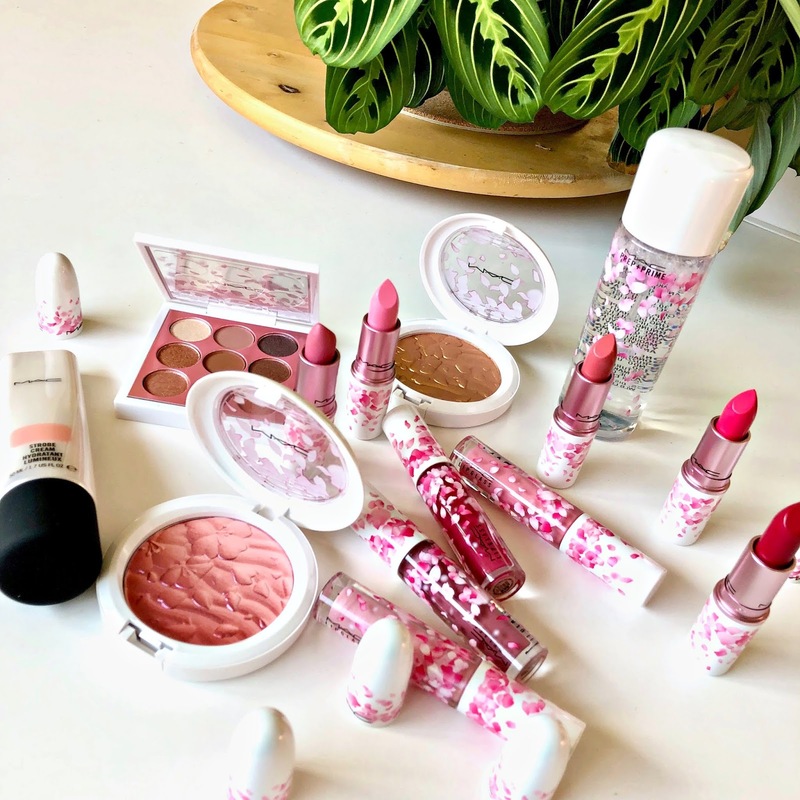 Bottom Line: I hope you enjoyed this overview of the gorgeously spring-oriented limited edition *MAC Boom, Boom, Bloom Collection and would love to know what caught your eye. Do tell! Good things ahead, including a fresh get-ready-with-me video and a host of new product procurements...stay tuned!